The New York Cocktail calls for Canadian whiskey, along with lime, grenadine, and sugar. Probably the best-known brand of Canadian whiskey is Crown Royal, which has caramel notes which blend nicely into the rest of this recipe. 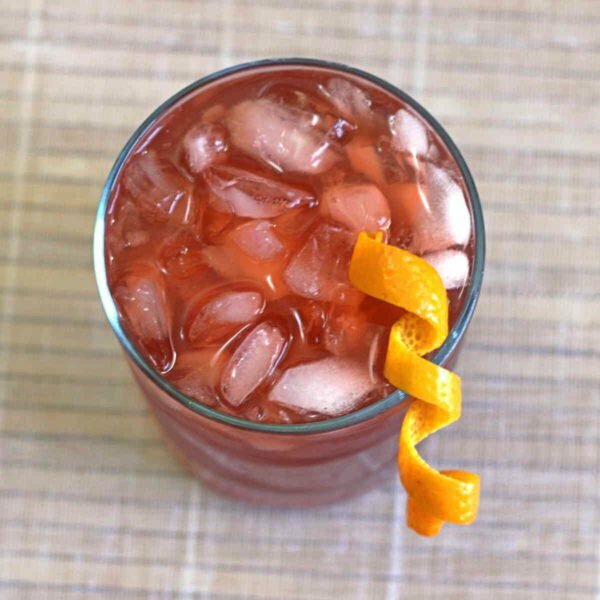 This drink also calls for lime juice, grenadine, and simple syrup. 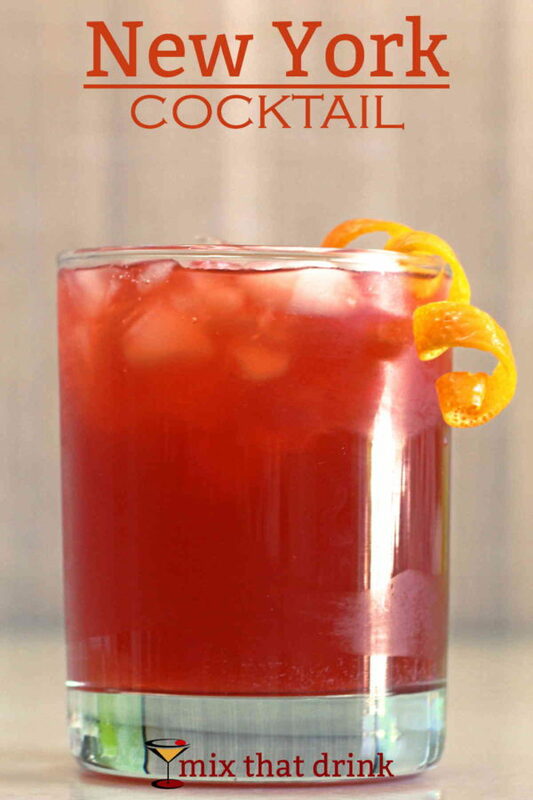 The grenadine adds a touch of pomegranate or berry, and the tartness of the lime juice keeps it interesting. It’s nicely balanced – neither too sweet nor too tart. And while you will definitely taste the whiskey, the other ingredients round it out nicely and take off any rough edges. Don’t ask me why a drink called the New York Cocktail calls for Canadian whiskey. Maybe because New York borders Ontario and Quebec? Or maybe it’s supposed to represent the melting pot inclusiveness of New York? I have no idea. With two ounces of whiskey, this one will probably be too dry for some tastes. You can just add a little more simple syrup – no more than a full ounce altogether. I’d say. The New York cocktail goes nicely with most any type of meal or snack, is wonderful for just sipping along, and is great for parties. If you enjoy this cocktail, check out the Whiskey Bomb, which is just whiskey, gomme syrup and Angostura bitters. Or there’s the Whiskey Smash, which is basically a Mojito made with whiskey instead of rum. And there’s never a wrong time for the classic Whiskey Sour, with or without egg whites. Shake everything together in a cocktail shaker filled with ice. Fill a chilled old-fashioned glass three-quarters filled with cracked ice. Strain the mixture into the glass and garnish with an orange twist.